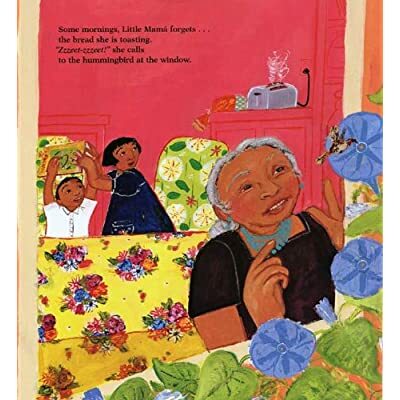 Your students are sure to remember this poetry lessons that is a follow-up for Little Mama Forgets. 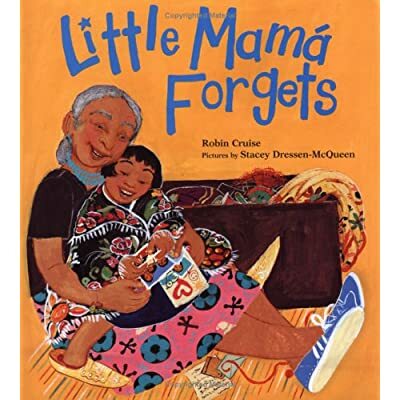 After reading the story aloud, invite the students to think about the things that Mama forgets and the things that she remembers. On a chart, list the things that Lucy, the granddaughter who tells the story, says that Mama forgets. Then list the things that Lucy says that Mama remembers. What do the things have in common? What types of things are on the "forgets" list as compared to the types of things on the "remembers" list? You may wish to lead students in a discussion about the relationship between Lucy and her grandmother. In addition, you might also want to discuss the things that Mama remembers from her youth and about her culture. To prepare your students for a poetry follow-up, ask them to think about what they might remember when they grow old. Who are the people that are most important to them? What things do they do with those special people? What celebrations are important to their families? What are their favorite things to do? Is it easier to remember things that you have strong feelings about? Provide the following poetry frame to assist your students in writing free-verse poetry. Here are some sweet poems that my second graders wrote! I might forget what she wore. I could forget when she fell down the steps. But I'll always remember how she makes me cinnamon rolls. I might forget how he sounded. I could forget how he used to play the piano. But I'll always remember when he held me in the hospital. I might forget that she slaps me in the eye. I could forget when she first punched me. But I'll always remember her smile and when she was born. I might forget what she sounded like. But I'll always remember that it may have been the loveliest voice anyone heard.